At the Newseum in DC….Thanks for a great photo, Maria Bryk! Hi, my name is Mary Beth Tinker. Making history was the last thing on our minds. I was a shy 13-year-old, John had just turned 15, and Chris was 16.But we did make history, eventually winning a landmark Supreme Court ruling in favor of First Amendment rights for students.The year was 1965, when about 1000 soldiers had been killed in Vietnam. Inspired by an antiwar rally in Washington, DC, we wore the armbands to mourn the dead and to support Robert F. Kennedy’s call for a Christmas truce. A few hours after school started, I was sent out of algebra class and told to remove my armband by the vice principal. I did, but was suspended anyway. Within days, others were punished as well.Four years later, following heated school board meetings, death threats to our families, a fantastic ACLU lawyer named Dan Johnston, and two lower federal court cases, the United States Supreme Court heard our case. The Tinker ruling is still cited in nearly every student First Amendment case (almost 6000 times, according to Lexus-Nexus) and almost all American civics and history textbooks. It’s popular for History Day projects, too! I’ve spent my career as a pediatric nurse, but I speak frequently with students about our case and about the Constitution because I’ve decided that civics affects our health, too. And, civics is in dire straights, which is a real problem in “mighty times” like these. In fact, one recent study by the Annenberg Public Policy Center shows that only one-third of Americans can name the three branches of government, and another third can’t name any. One-third think the president has final say over decisions, and that Supreme Court decisions can be appealed. 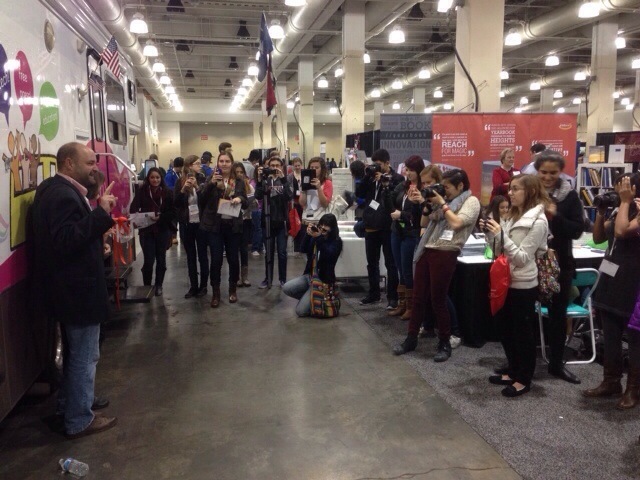 So, I left my hospital in 2013 and embarked on a “Tinker Tour” to promote youth voices, free speech and a free press. 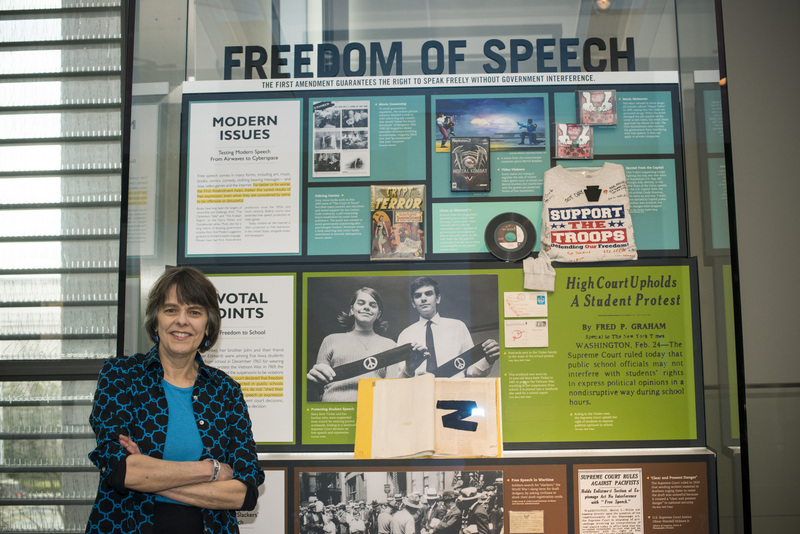 That first year, I was joined by Student Press Law Center attorney Mike Hiestand, who over the years has helped thousands of students, teachers and administrators with student speech issues. The goal of our tour was to bring real-life civics lessons to students through the Tinker armband story and the stories of other young people. To kick off the Tinker Tour, we gathered at the Arch Street Friends Meeting House (Quaker) in Philadelphia on September 15th to pray and honor the spirit of our tour. It was the 50th anniversary of the horrific 16th St. Birmingham church bombing, when four African American girls were murdered by the KKK to punish 2000 children for their righteous actions in the Birmingham Childrens’ Crusade several months earlier. With that reminder of why we were traveling, on Constitution Day, September 17th, we had an amazing stop at the National Constitution Center in Philadelphia- another reminder of why we would be traveling. That fall, we covered 15,595 miles across the American east coast, midwest and southeast speaking to more than 20,000 students and teachers at 58 stops, including schools, colleges, churches, a youth detention facility, courts and several national conventions. 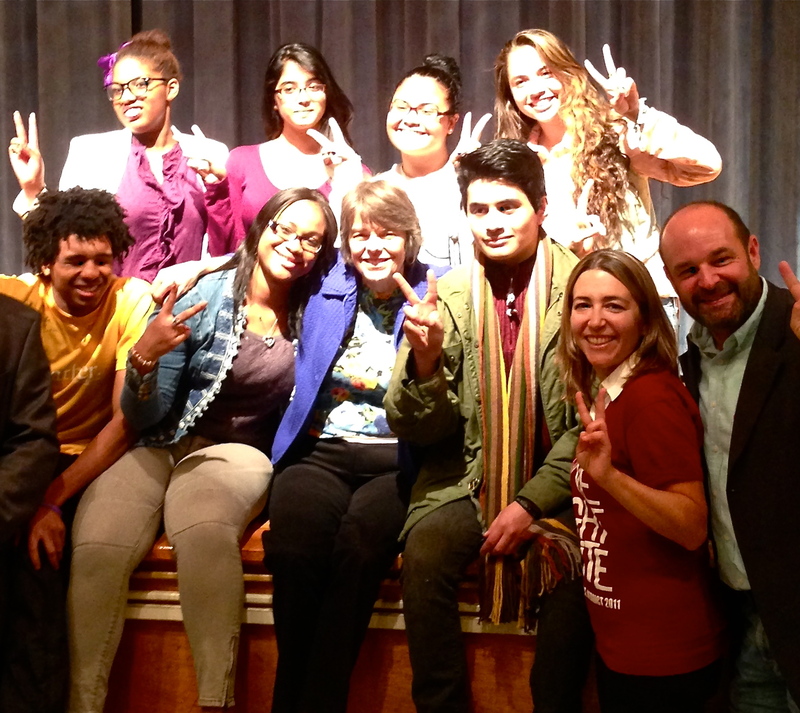 All the way, we told- and heard- stories of young people who speak up for a better way. In the spring of 2014, we moved on to schools and events in the American west, midwest and southwest, as well as a stop in Sao Paulo, Brazil, and Vancouver, Canada. In the 2014-15 school year, Mike Hiestand was sorely missed when he returned to his family and home in Washington state. Mary Beth kept the spirit up, though, with many great events at schools and conferences. During the 2015-16 school year, the Tinker Tinker included a special 50-year anniversary week in Des Moines, Iowa to celebrate 50 years after getting suspended. All the Tinker siblings got together in Des Moines for a week sponsored by the Des Moines schools superintendent and alumni organizations. We were enthusiastically welcomed into a number of Des Moines schools with warm hospitality, which was so touching. My, how life can change! It was a wonderful year, and the stop in Des Moines a real highlight. There was plenty to talk about during the 2016-17 school year, with so many students making history, using their rights, and weighing in on the controversies of our times. It was also a huge year for National History Day, whose theme was “Taking a Stand in History.” My brother John and I enjoyed many interviews with fine young historians. Now that 2018 is underway, it looks like it’s going to be a very busy and important year for the Constitution, our country and our world. It’s an especially important time for young people, who are feeling- and often hurting- from the effects of policies over which they have very little control. In democracy, people have the right to advocate for themselves, and young people are no different. I’ll be talking with lots of them this year and sharing their stories. 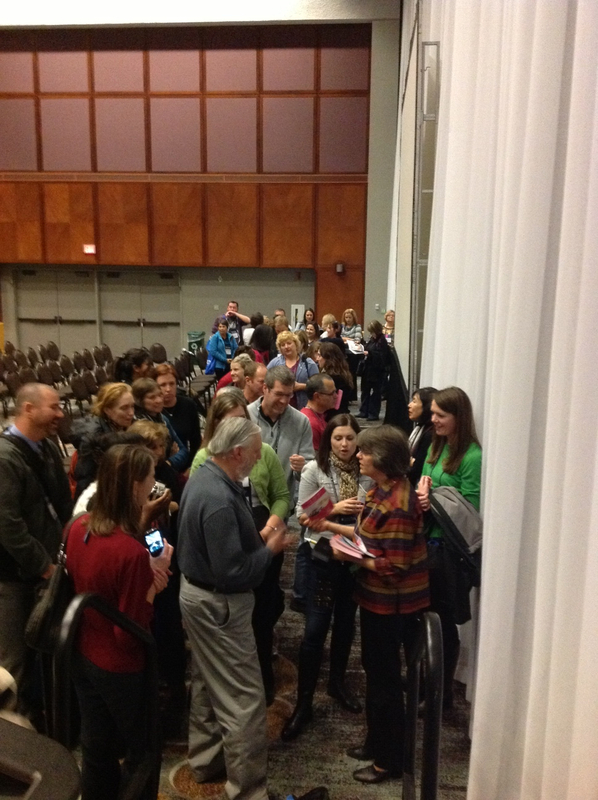 Thanks for traveling with me on the Tinker Tour for kids’ rights! In 1965, we made with simple armbands. Now, students are using new speech tools to make history again, which is great news for democracy! 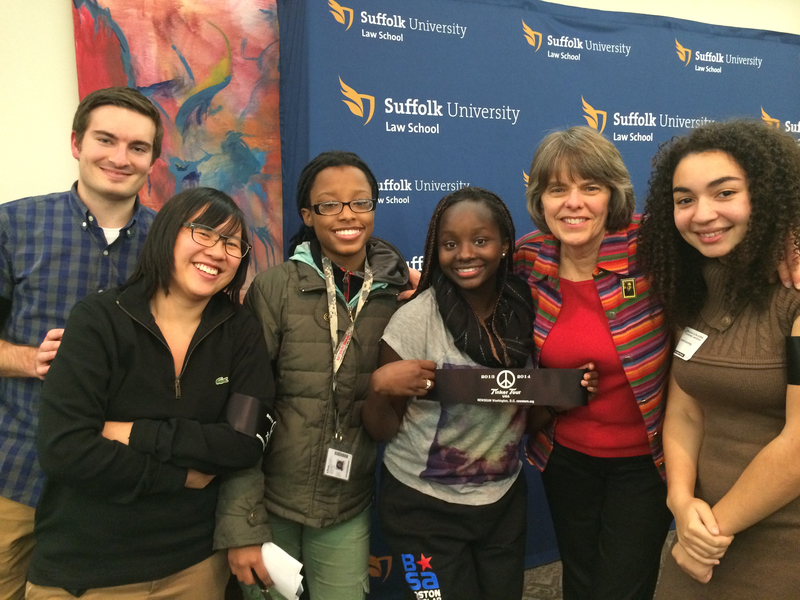 Mary Beth with Suffolk U Marshall Brennan “fellows” and students from Brighton High School. The Tinker Tour began as a special project of the Student Press Law Center and continues to be a close friend of the Center. The Tinker Tour has also been endorsed by many of the country’s leading civics education, civil rights and journalism groups. For that, we are very proud and grateful. To keep the Tinker Tour rolling, you can make a tax-deductible donation to the Student Press Law Center here. Click on “yes” when asked if you want to dedicate your gift, then specify Tinker Tour. Tinker Tour, c/o Student Press Law Center, 1608 Rhode Island Ave NW, Suite 211, Washington DC 20036. This is an important time in history, especially for youths, who are naturally creative and hopeful, but often feel discouraged. They want to hear about other young people who have used their rights- and still are- to make a difference. On the Tinker Tour, they do!